You can set your 5.5” lightweight front wheels to swivel for your daily obstacle course or lock for long distance strolling. The front wheel suspension provides a smooth ride for your baby. 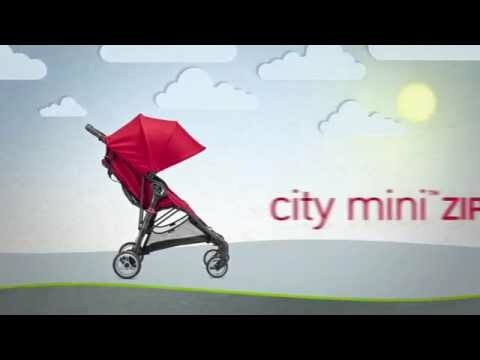 The City Mini ZIP can become a travel system in a heartbeat using a Car Seat Adapter (coming Fall 2014). Simply snap on the brackets and you've got a customized travel system for your infant. (Car seat and car seat adapter sold separately).